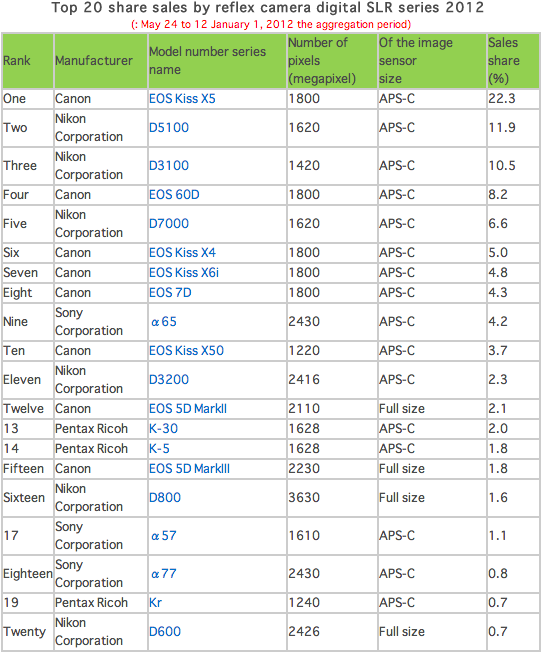 The best selling mirrorless camera for 2012 in Japan? The Nikon 1 J1! 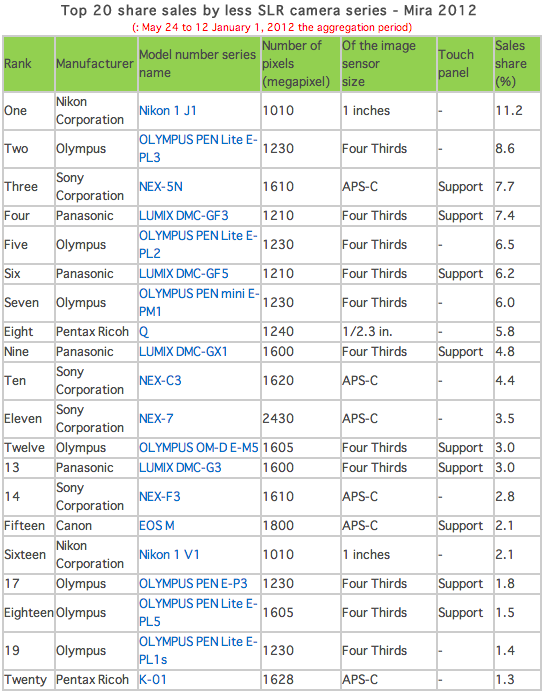 The best selling mirrorless camera in Japan for 2012 according to BCNranking is the Nikon 1 J1. The data is based on actual sales from approximately 2/3 of all Japanese retail stores.